There’s no doubt that vegetarian eating styles are on the rise. While I may be offended by campaigns such as the one comparing dogs and cats to cows and chickens (check out why), going meat-free can indeed be a healthy way to eat and in fact, when done properly, can yield a host of advantages to both individuals and to the planet. But there are plenty of vegetarians with lousy diets while at the same time, there are meat eaters whose eating patterns rank as stellar in terms of nutrition. Some vegetarians simply drop meat from the menu without incorporating nutrient-packed substitutes. It’s a pretty common phenomenon for kids who go veggie but live in a meat-eating family. Balancing meals doesn’t have to be difficult but it does take some energy and time to come up with menus, especially for new vegetarians. To the rescue comes Oldways and Sharon Palmer, RD, the same group behind the Mediterranean Diet Pyramid and the Whole Grains Council. 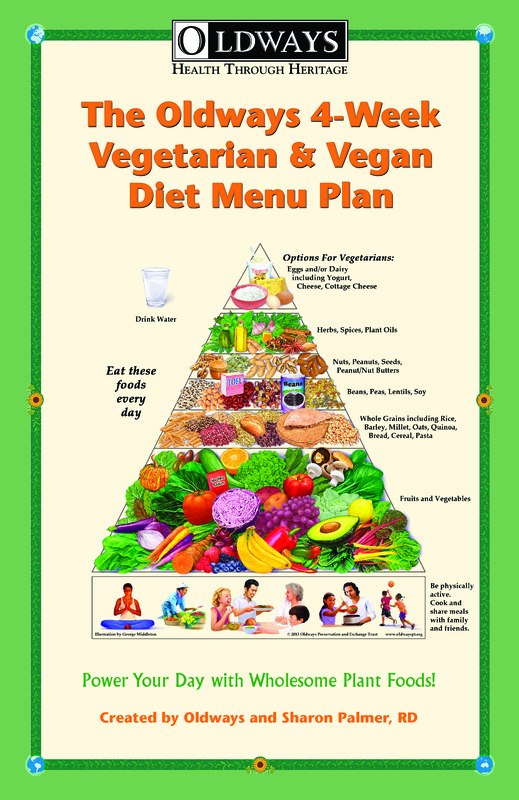 Their new guide, The Oldways 4-Week Vegetarian & Vegan Diet Menu Plan, uses their Vegetarian & Vegan Diet Pyramid as a foundation for the 28-day menu. The beauty of it is its simplicity and size. It’s small and not overwhelming but it is jam packed with key basics for a new vegetarian (or an old one who could use a refresher on vegetarian basics). Each day’s menu is accompanied by two recipes and daily tips from basics about selecting whole grains and greens to chia seeds versus eggs and how to turn family favourites into vegetarian dishes. Charts include stocking your pantry, plant protein facts and nutrition information for snacking are just a few of the other offerings. At $10, the guide makes a perfect gift for a loved one or yourself. You can order it online from Oldways. Tomorrow I’ll provide a taste of the recipes from the guide. Update for Canadian orders: Please email Lara@oldwayspt.org . 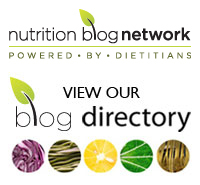 ← Promoting vegetarianism: are these tactics appropriate?